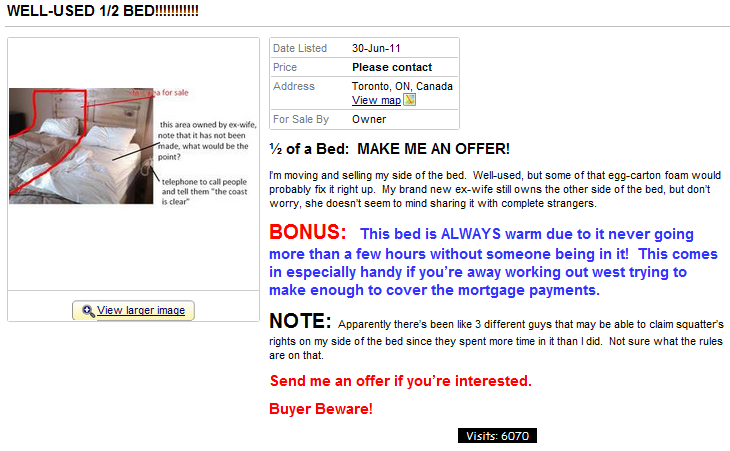 Someone pointed me to this ad on Kijiji Moncton, New Brunswick. The ad poster says "Yes, this is true. I figured a bit of comedy couldn't hurt the situation. No, I will not post a picture of her......trust me.....you would wonder what I was thinking." 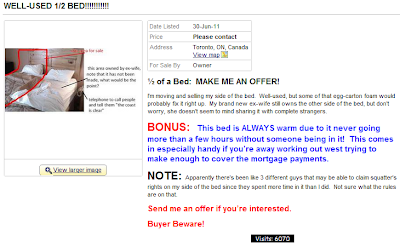 So, to the guy who posted the ad in New Brunswick: You are a liar and a plagiarist. Screw you.